Eskom has announced it will implement stage 3 load shedding from 08:00 until 23:00 on Tuesday. The power utility resumed with load shedding for the first time in 2019 on Sunday. The rotational power cuts continued on Monday, when stage 4 load shedding was announced for the first time after the failure of a number of generating units. State 3 allows for 3000 megawatts to be cut from the national grid. "The power system remains constrained. We'll continue to provide regular updates about the state of the power system through various media platforms," Eskom spokesperson‏ Khulu Phasiwe tweeted on Monday morning. 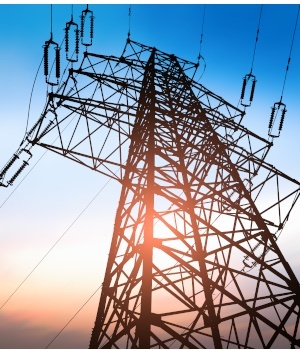 Eskom said in a follow-up email that despite the generating units returning to service as planned, emergency reserves of diesel and water were still very low. Eskom's board said on Monday that the new Medupi and Kusile power stations, the core of the utility's new build programme, were continuing to show "a lack of reliability to contribute meaningfully to Eskom’s generating capacity, which is a serious concern". President Cyril Ramaphosa, meanwhile, said on Monday that rotational power cuts came as a "shock" and he was "quite angry" Eskom had "reached this stage of dysfunctionality", as Fin24 reported. NOTICE:Eskom will implement stage 3 loadshedding from 08:00 until 23:00. The power system remains constrained. We'll continue to provide regular updates about the state of the power system through various media platforms.